Almost two weeks ago, I tried to connect one of my external USB hard drive to my desktop, but without any success. The files I wanted most were already backed up to a different disk, so I was not expecting a bit loss. However, I had a set of benchmarks that could be useful in the future. Ok I said, it is not a high priority, but how can I recover my data? 1. The disk is a WD passport USB drive. I noticed when I was moving the USB cable, the driver will disconnect from the PC. So the first obvious step was to try a new USB cable, but no luck. There was a small improvement in the transfer speed, but nothing serious (more on that later). 2. So the second thought was to open the case and connect directly the disk to the desktop PC. Unfortunately, the disk has embedded the USB controller and it cannot be attached directly to the PC with SATA cable. WD Passport disk controller with USB connector. A bit of more Google search revealed that newest drivers also encrypt the data, even if the user didn't set a password. 3. Then I tried to put the disk in the refrigerator, but it didn't do anything. A bit of warning here, this could help if the disc is stopped somewhere in the plate. Some people warned that this can actual destroy your disk. If your data are not critical or you are desperate, you can try to see what happens. 4. The next step is to try mounting the disk as read-only under Linux and use software recovery tools. This requires more experience than the average Windows user, but you can try using a live CD without installing anything. It is important to understand that the Linux must be able to see the device, even if you can't see the actual files. 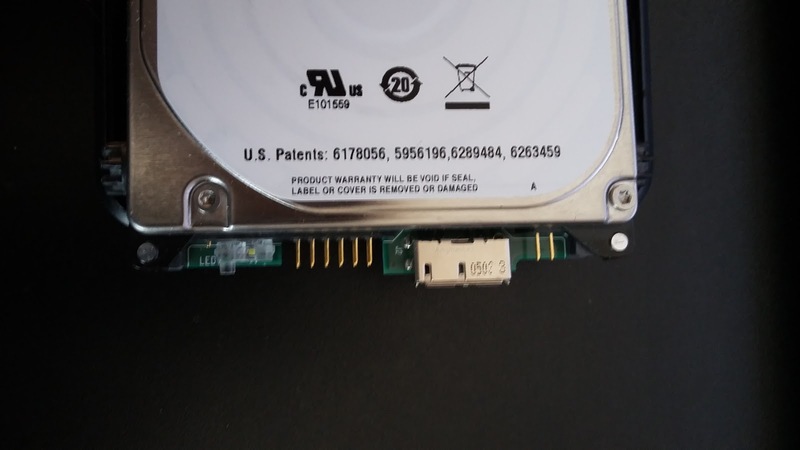 The /dev/sda is the primary disk, and the /dev/sdb is the external USB connected device. Not that I have dual boot machine, so I have different partitions for Windows. /dev/sdb is the external USB disk and the /dev/sdb1 is the partition. If you can't see the partition, then you can't mount the disk (see step 6). If you can't see the disk at all, you are out of luck. You can try switching the controller of the disk using the same model, but it will not work in the case of WD passport disks due to encryption. An alternative when using external USB disks is to connect the USB cables directly to the controller, but you need some experience with electronics. I'm going to analyze this case in the future article. After the mount, you should be able to see the files, even in low speed. Recover the data without trying again. This is a first step to speed up the speed. In any time, you can stop the process and continue in the future. The progress and the status are saved in the logfile. 7. If you can't restore the partitions, then you have to use directly the photorec to the image file. You follow the instructions and recover the data (will be analyzed in the future).